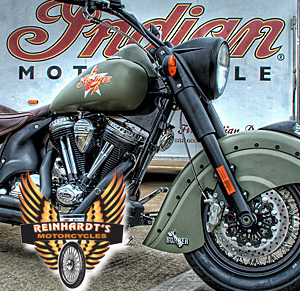 Reinhardts Motorcycles is Tampa’s Independent Indian Repair Shop located in Lutz. If you love your Indian, then your selection of Indian repair technicians should be important to you. At Reinharts, we have independent Indian service craftsman that puts safety first for each and every repair. Reinhardts carries a large selection of custom Indian options and Indian accessories. Come look at several examples available to make your bike the center of conversation. Ride in or tow in, come see us down at reinhardts today. Walk ins always welcome; for preferred times call 813-909-2299. 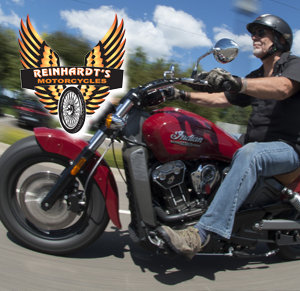 Reinhardt’s Motorcyles is a certified independent Indian repair shop in Tampa. Reinhardts specializes in routine Tampa Indian service. Having the same craftsman mechanic service your Indian on a routine basis will allow for the safest possible experience. Safety is key when upgrading and customizing any bike. Everybody is part of the family at Reinhards so bring your Indian in today! Located in Northern Tampa.